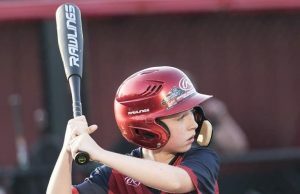 Easton’s Jaw Guard was made popular during the LLWS due to its visibility. And, turns out, it likely saved a kids teeth from very serious injury. We recorded that video, which went viral, and put it on our facebook page. The Easton Jaw Guard was new for the series and will be available in September of 2018. 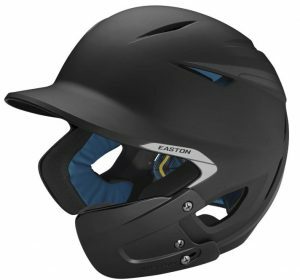 Some are available here: 2019 Easton helmets as well as the Z5 line. 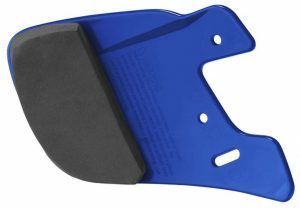 The C-Flap is a brand name of the Markwort Jaw Guard. The Markwort has been around the longest but is not sold with a helmet. Markwort doesn’t make helmets. Instead, it is sold as the flap and then you attach it to any helmet. In most cases you’ll need to drill holes in the helmet. Much hullaboo has been made about how this makes a helmet technically illegal. This is the C-Flap most MLB players use. Easton’s version is called the Easton Extended Jaw Guard. C-Flap is trademarked by Markwort, but the idea is the same. However, Easton’s jaw guard has the right certifications to be legal on THEIR helmets in leagues that enforce dumb rules like Nazi prison guards. (We aren’t very impressed with the red tape here, as you might imagine). In terms of “legal” helmets (excluding the Markwort above) Easton competes with a Rawlings MACH EXT helmet as well as a Boombah Face Guard. Both these guards are intended to be used on their helmets and are not technically legal on other helmets. However, these flaps all use a three screw design and therefore fit, “illegally”, on just about any helmet with three screws holes. For some, you might need to modify it by moving a hole. Of course the rule nazi’s will come out of the woodwork here. They don’t want to be sued for sure. Neither do we, so do this at your own risk. But, for what it’s worth, this is how we do it. You can see this video here in terms moving a hole. Also, expect EvoShield to release a jaw guard in the next few months too. We discuss a number of options on our Jaw Guard Article. We’ve seen, up close, each of the jaw guards on the market today. Frankly, we can’t tell a difference between any of them. The Markwort comes with the screws/holes to be put on any helmet. Granted, as we state above, this might make your helmet illegal in some leagues. Also, to be clear, the Rawlings flap is not “legal” on the Easton helmet or Boombah helmet or vice versa. When in doubt, we say go with the guard that is built for the helmet. Easton’s extended jaw guard on an Easton Helmet makes perfect sense. Should I Use a Jaw Guard? If you’ve had one on then you know it doesn’t restrict your vision. If it does then you’ve installed it wrong or your helmet is not fitting right. We look forward to the day when leagues require the Jaw Guard. 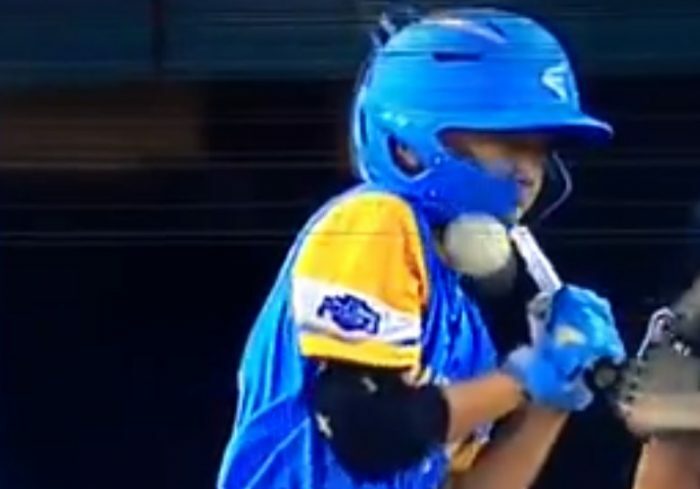 Can you imagine the type of blow back Little League would have received if that Hawaii kid’s face was destroyed because they didn’t have any jaw guards available? It is a remarkable turn of events that saved a huge controversy.